I say papas because in my pueblo and elsewhere, they say papas for patatas. There are various ways of doing this, so this is just how I do it for a late breakfast/brunch. Sometimes on their own with bread, or sometimes with salad or leftovers, or fried pimientos – recipe for that in this Spanish section too. 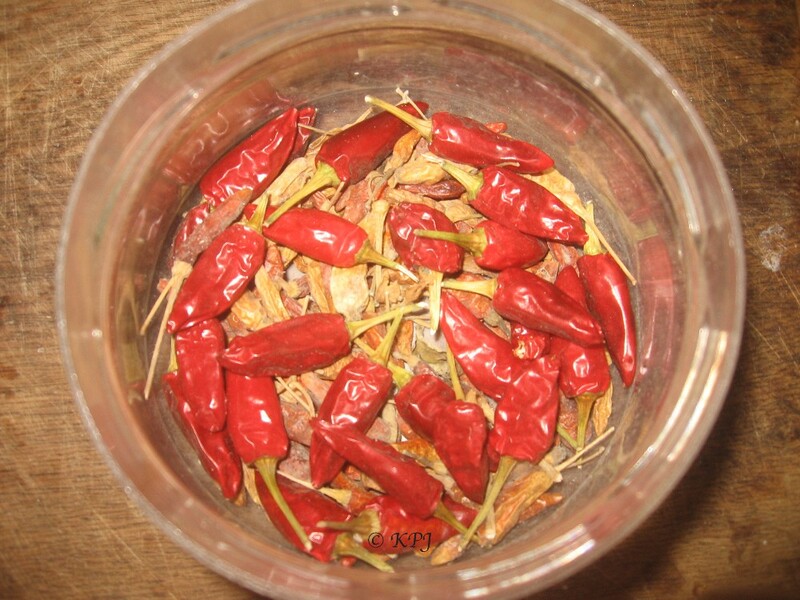 Hot chillies – don’t use all these! Dice potatoes. Add to frying/sauté pan with olive oil, chopped or crushed garlic and chopped chilli. Ours are hot so I usually only use one, but do include the seeds. When the potatoes start cooking sprinkle some sea salt over them. Sometimes I’ll add some herbs, either thyme or oregano. Keep turning the potatoes from time to time to ensure they crisp on all sides. Potatoes just beginning to brown. These didn’t need the lid as they cooked pretty quickly. 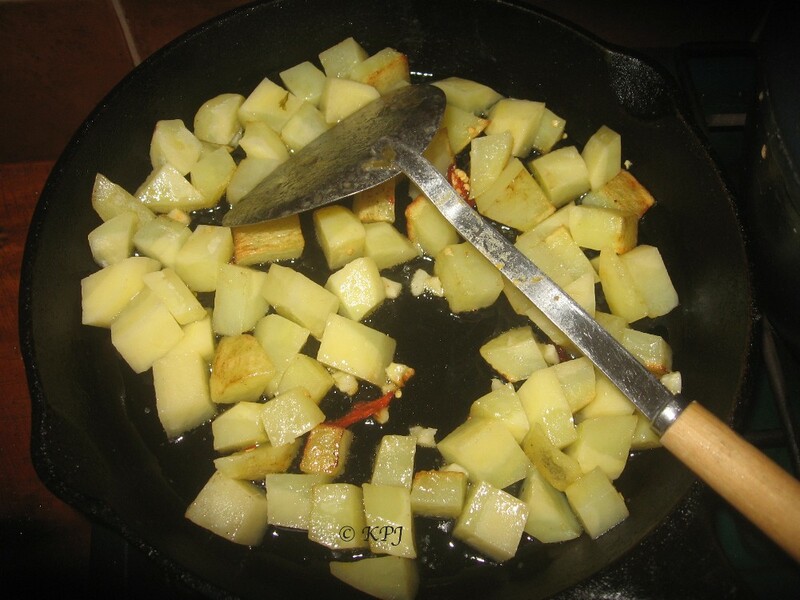 Depending on the type of potatoes, sometimes I’ll cover the pan to help the potatoes soften. My neighbours deep fry their potatoes and add pimientos (green peppers). Whichever way you cook them, it’s cheap, easy, and tasty. Or just serve with bread, and add tabasco and vinagre de Jerez (sherry vinegar).